Investigators from The University of Manchester have developed the world’s first smartphone-based study to investigate the association between weather conditions and symptoms of pain. It has long been discussed that certain weather conditions can impact on pain experienced in bones, muscles and joints. It remains unproven by researchers so far as there has been no research of a large enough group, or the ability to identify the weather in the exact location of a user over the changing seasons. The wider ownership of smartphones gives us the opportunity to get frequent and better quality data to investigate this connection. If patients also use wearable devices or apps to track fitness, the association between activity and severity of symptoms can also be considered. In the study, patients use their smartphones to record daily information about their symptoms and other factors that may affect their pain levels, such as how well they have slept or how much exercise they have done. The GPS within the smartphone is then used to monitor and record local weather data. In the first instance, people experiencing chronic pain or arthritis visit the website to read about the project. After confirming eligibility as someone experiencing chronic pain, people then download the Cloudy with a Chance of Pain app onto Android or Apple smartphones. Every evening, users receive a prompt which will remind them to record their symptoms. Alongside that, information is consistently collected from the GPS, allowing us to match patient symptom information with weather conditions in their location. Participants are encouraged to record their symptoms for at least six months, with data being collected from January 2016 to April 2017. 13,256 people took part, recording over 5 million data points. 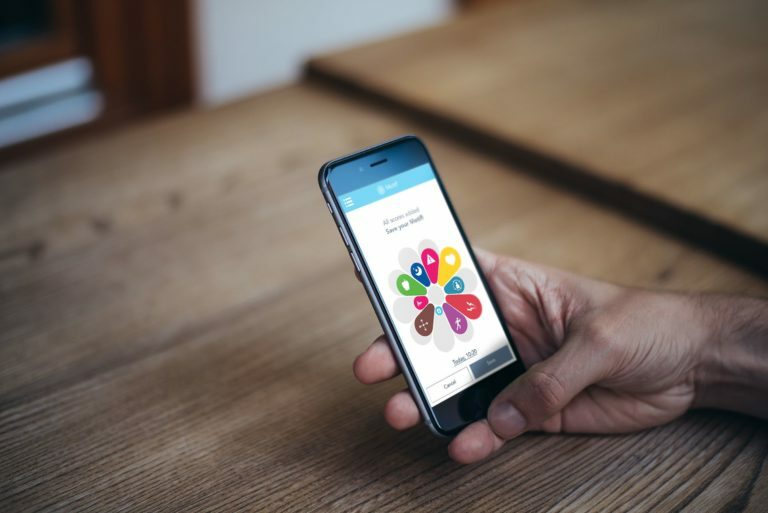 Data can be viewed within the app or on the Cloudy website, where participants can compare their symptoms with others taking part in the study. There is also a citizen science aspect of the project, where anyone can access anonymised data collected, visualised against different weather variables on the Cloudy website. Irregardless of direct project involvement, people can analyse the data, submit hypotheses, and ultimately help the research team spot patterns. Working out whether meteorological implications such as pressure or temperature influences pain is important: if the weather can be forecast, so can people’s symptoms. If patients can be provided with their pain forecast they can respond accordingly, fitting their personal and professional lives around predicted pain levels. During the recruitment stage, the project gained coverage from the BBC2 show Trust Me, I’m a Doctor, broadcast in January 2016, as well as ITV News, BBC Breakfast, BBC local radio and most national newspapers. There was similar national coverage when some early preliminary findings were released in the summer, which led to a boost of an additional 3,000 recruits that week. Advances in mobile technology have allowed the public to participate in this project, self-reporting and logging symptoms of pain or illness. The proactive responsibility of doing so has allowed users to monitor their own wellbeing and take ownership of their healthcare. 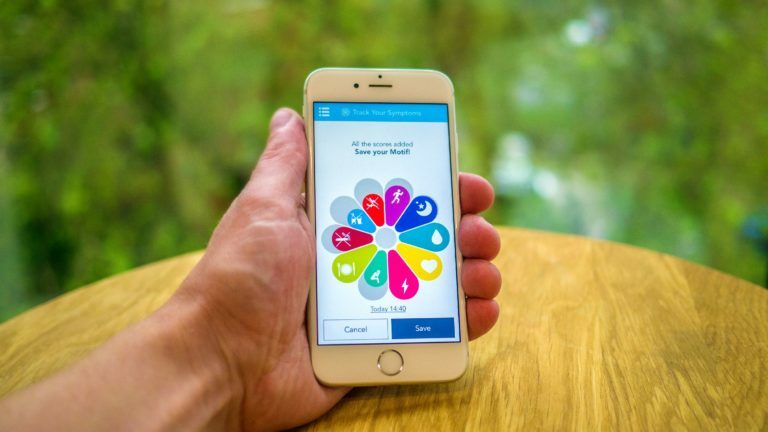 Run from the Arthritis Research UK’s Centre for Epidemiology in collaboration with the Health eResearch Centre, the project also works with industry partners uMotif, responsible for designing the app and the website. A partnership with The Office for Creative Research in New York saw them managing the data visualisations and the citizen science experiment. Funders Arthritis Research UK supported this work and the MRC supported the feasibility study. For more information visit www.cloudywithachanceofpain.com.